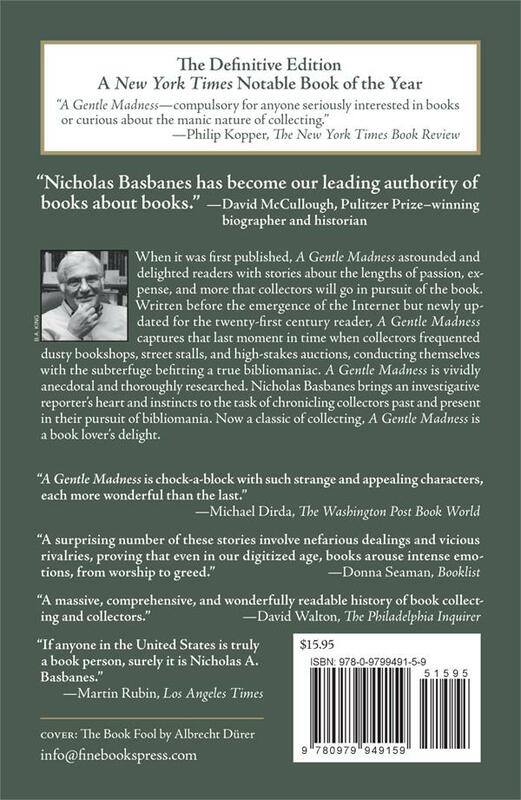 Home > Books > By Nicholas Basbanes > A Gentle Madness - A New Edition! When first published, A Gentle Madness astounded and delighted readers about the passion and expense a collector is willing to make in pursuit of the book. 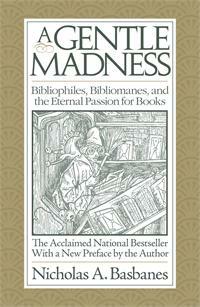 Written before the emergence of the Internet but newly updated for the 21st Century reader, A Gentle Madness captures that last moment in time when collectors pursued their passions in dusty bookshops and street stalls, high stakes auctions, and the subterfuge worthy of a true bibliomaniac. An adventure among the afflicted, A Gentle Madness is vividly anecdotal and thoroughly researched. Nicholas Basbanes brings an investigative reporter’s heart to illuminate collectors past and present in their pursuit of bibliomania. 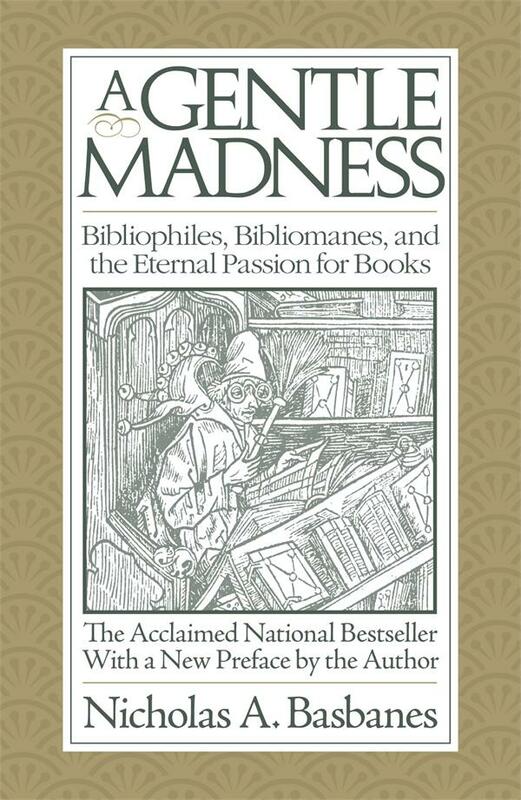 Now a timeless classic of collecting, no lover of books can miss A Gentle Madness. Softcover. Nicholas A. Basbanes is the author of eight books about various aspects of books and book culture. His first, A Gentle Madness, was a finalist for the National Book Critics Circle Award, and was named a New York Times Notable Book of the Year. He recently completed work on Common Bond: Stories of a World Awash in Paper, the recipient in 2008 of a National Endowment for the Humanities research fellowship, and now being prepared for publication by Alfred A. Knopf. Basbanes lectures widely on book-related subjects, reviews for The Los Angeles Times, and writes a featured column for Fine Books & Collections magazine. He and his wife Constance live in Massachusetts.